Day 8 of my World Cup 2018 concept series, Denmark. 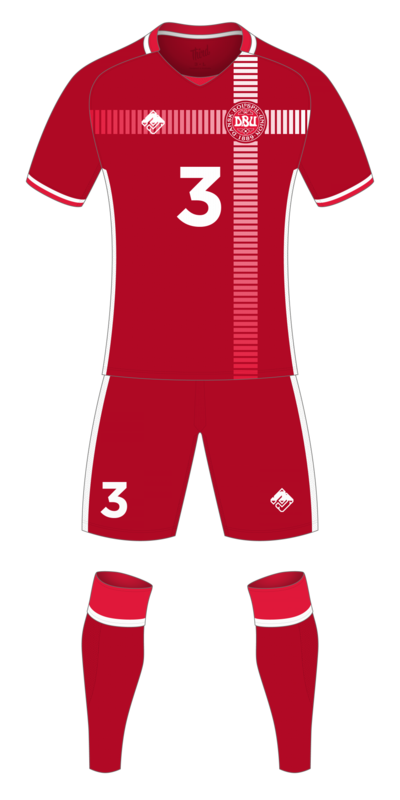 A deep red kit – shirt, shorts, and socks – with trim in white and slightly brighter red. The jersey features a striped/gradient cross that is centered behind the team crest – I tried about a dozen different version of the cross, some were too subtle, some interfered with the number too much, not entirely sure this is the best one, but it’ll do.